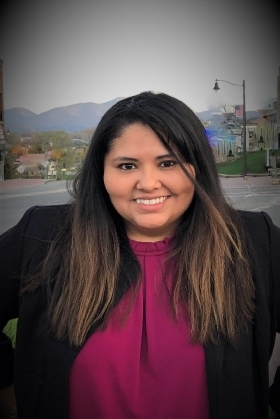 Cindy Rodriguez, Co-founder, Adirondack Diversity Solutions, an experience human resources consultant with policy review and implementation, along with business process improvement solutions. Most recently, Rodriguez was a Human Resources and Business Analyst for the College of Agriculture and Life Sciences at Cornell University. With experience and expertise spanning higher education, human resources, business administration, social policy, as well as environmental policy and energy, Rodriguez brings a unique lens to ADS. Rodriguez has worked to provide innovative human resources solutions promoting transparency, improving communication, and streamlining workflows, all while encompassing the essence of each organization's values. With a firm belief that the beauty of the Adirondacks should be accessible to all regardless of socio-economic status, race, gender, and ability, Rodriguez seeks to dismantle such barriers with forward thinking innovations.